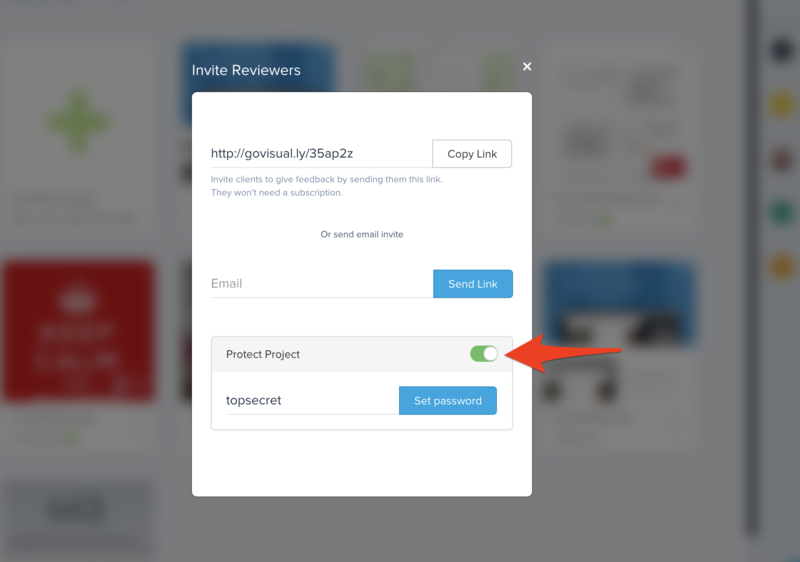 You can set password on the share tab to protect the project before sharing the review link. Please note that you'll need to send this password to the reviewers. If you choose the email invite option, our system will email them the link, but not the password.